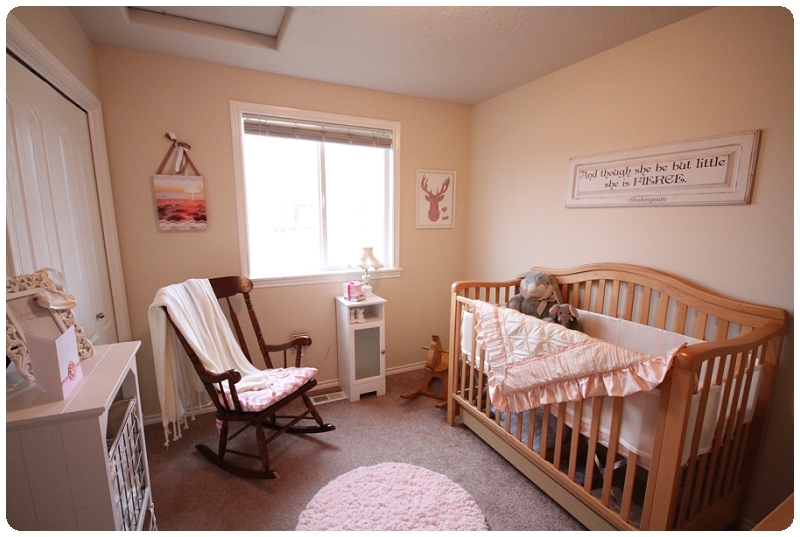 So this blog post is just to share the final product of miss Jaycie Lynn’s nursery! Can you tell I am just dying for her to get here? 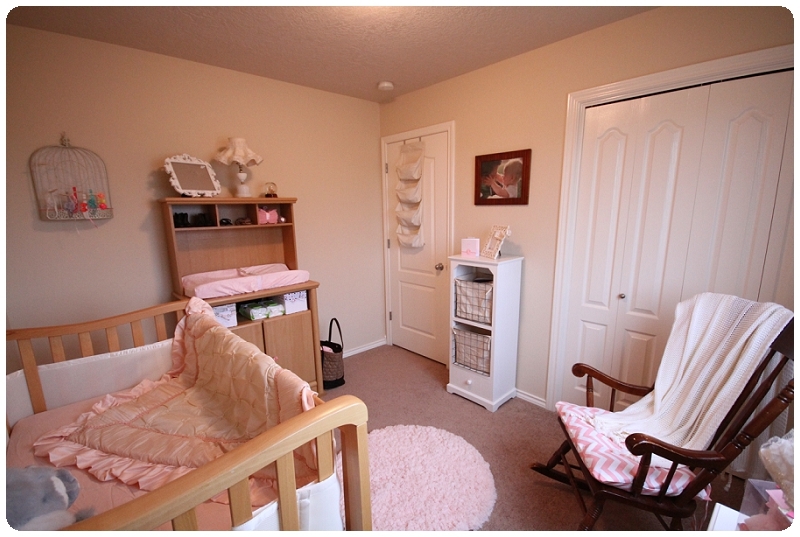 Here is my Pinterest/Nursery ideas I have had since I got pregnant the first time, inspired room. 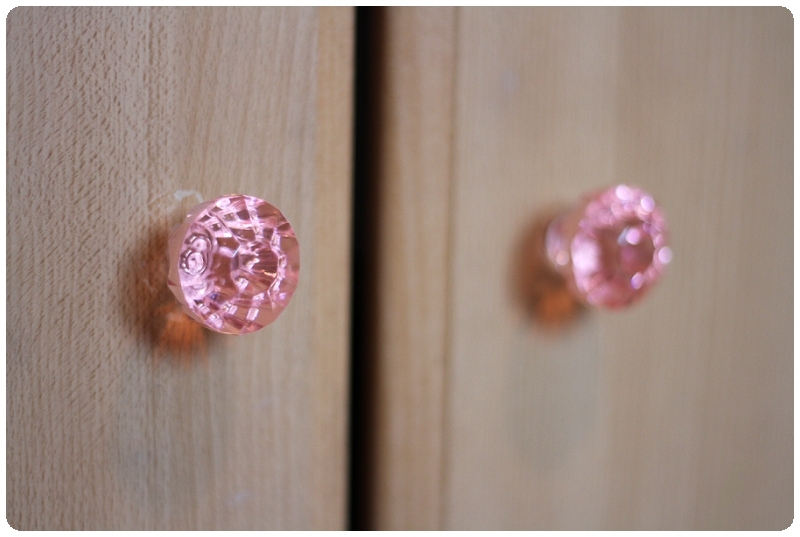 (keep in mind, I rent my home, therefore I have to be very careful with the number of holes in the wall and am not allowed to paint :/). 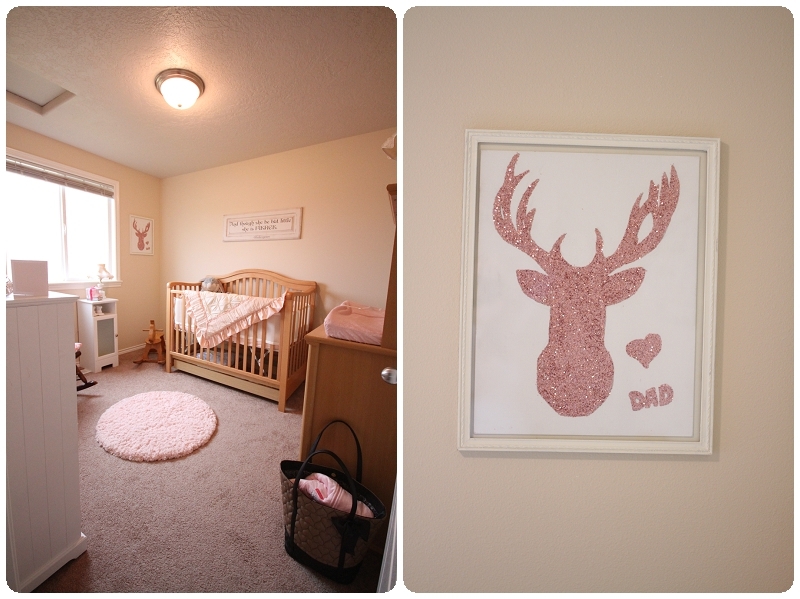 Some fun facts about the artwork and room: The deer silhouette was drawn by my husband and glittered by me. (Pinterest inspired). 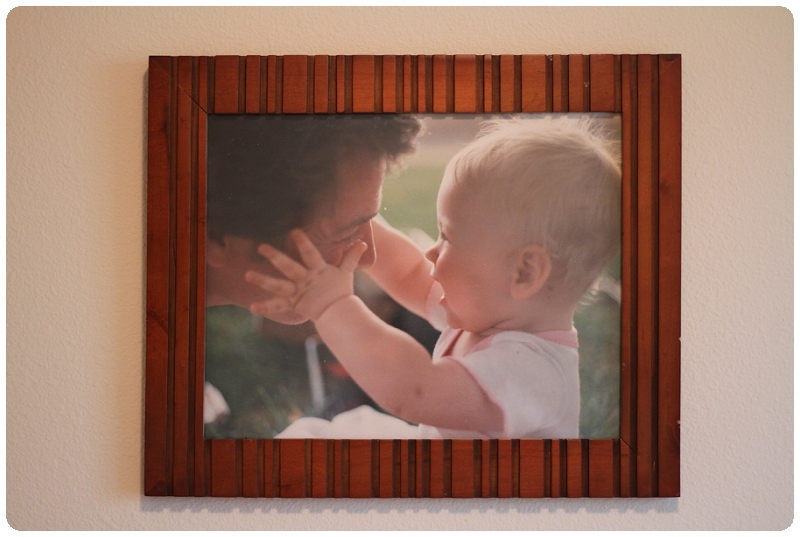 The photo of the baby and dad is me with my dad (taken by Val). 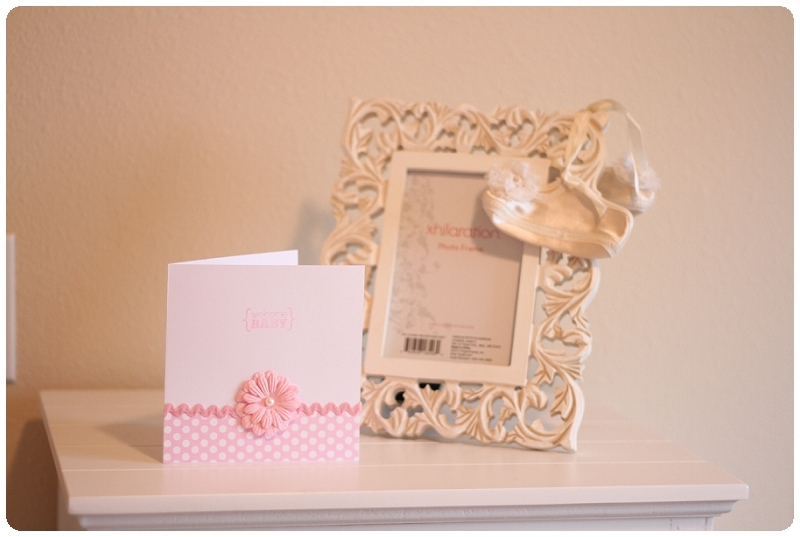 The card is her baby shower invitation (handmade by my mom and me). 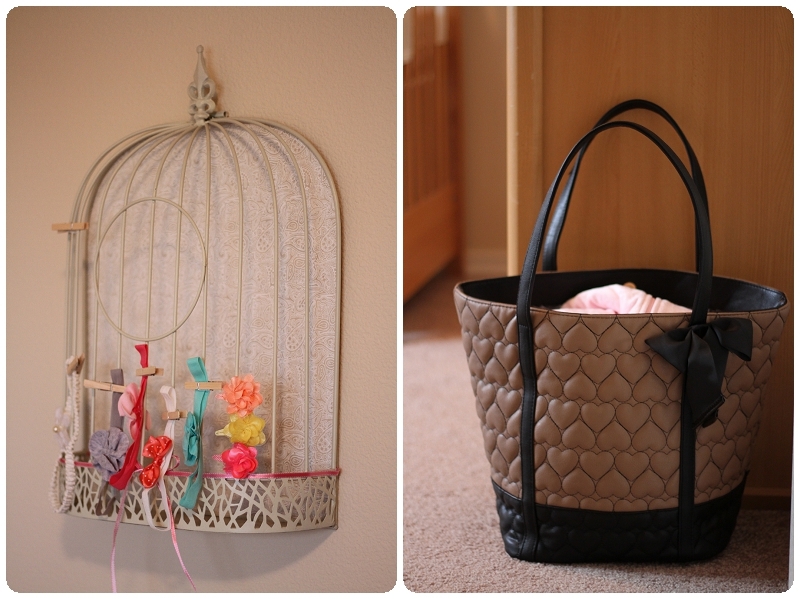 The birdcage was recovered by my mother (Val) to better match the room. 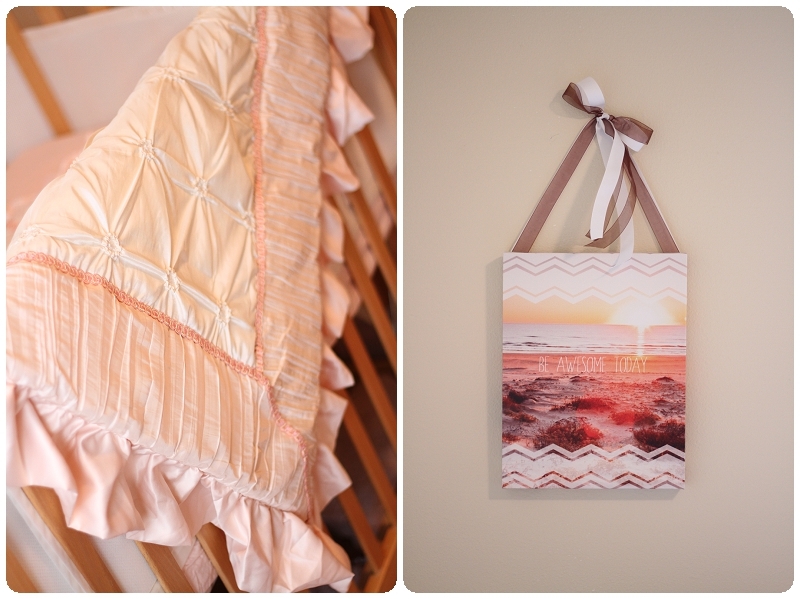 The chevron print rocking chair pad was mad by Val. 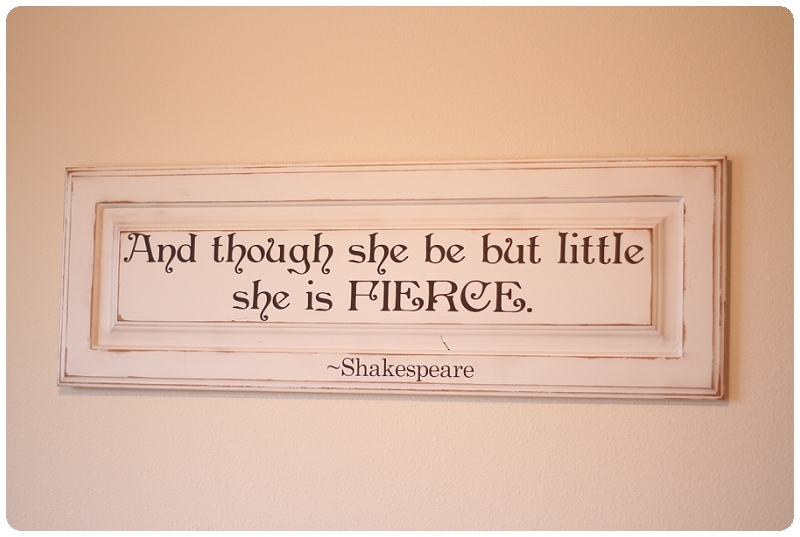 I found the Shakespeare quote on Pinterest ages ago and had Tami Reed with Life’s Little Moments make it for me. 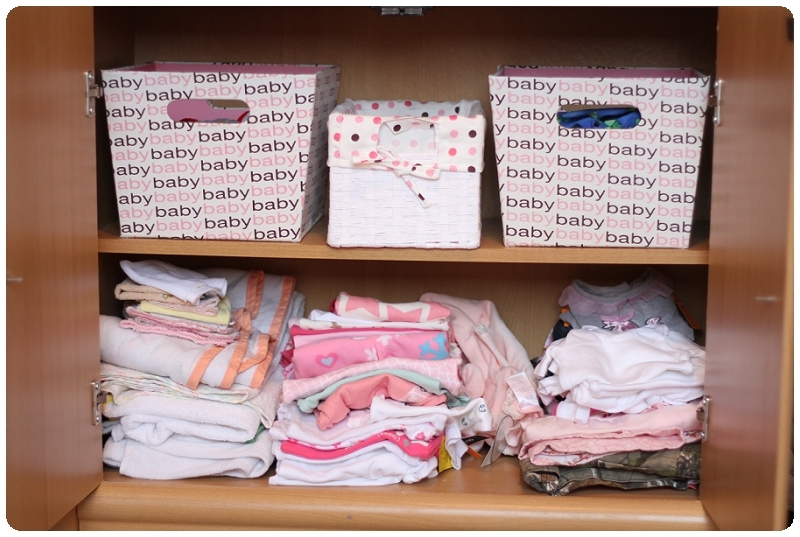 Many of the shoes in the changing table were mine. 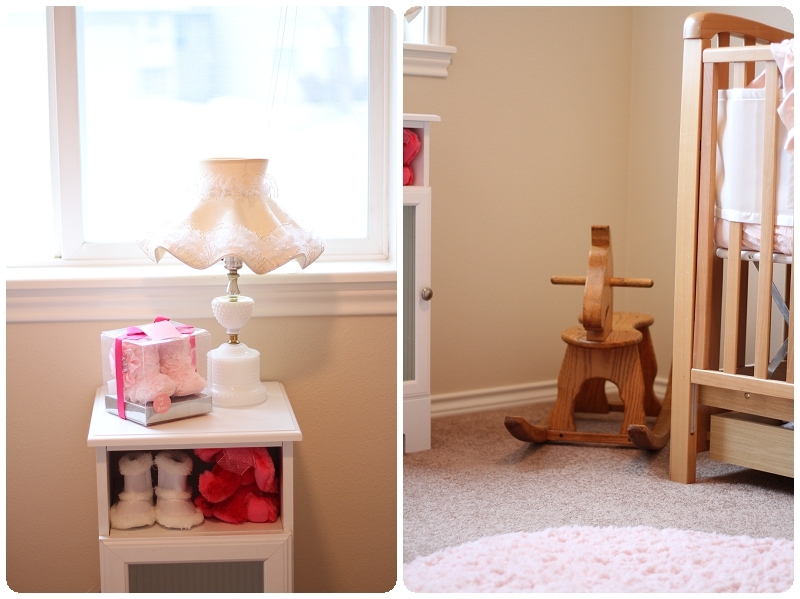 The changing table was a craigslist find (only $25!). 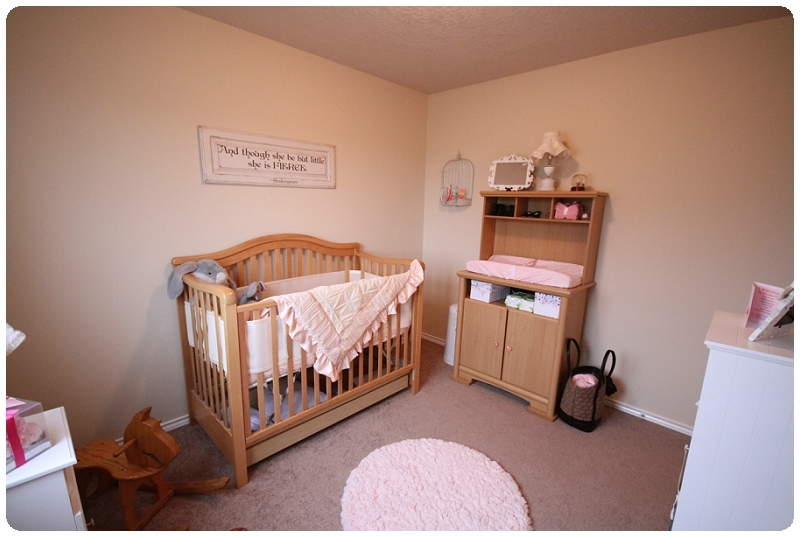 The crib is a Pottery Barn Kids crib and was given to me by a wonderful lady from church. 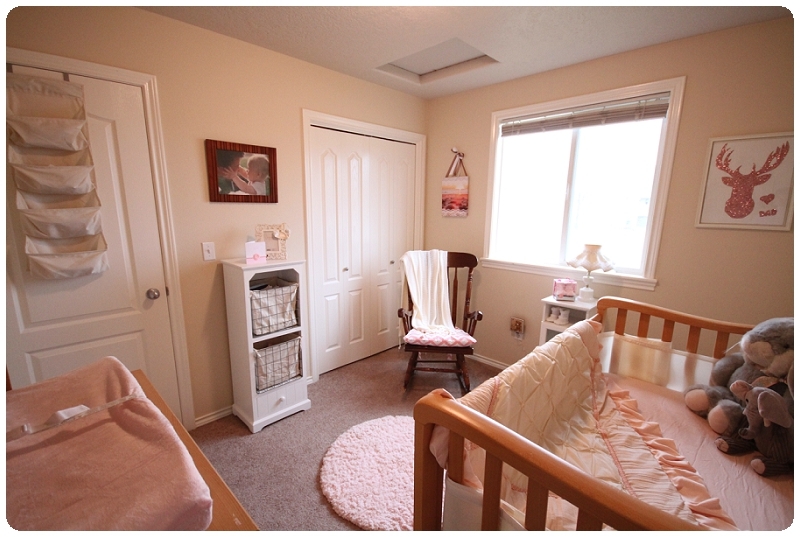 The lamps and lampshades were my grandma’s. 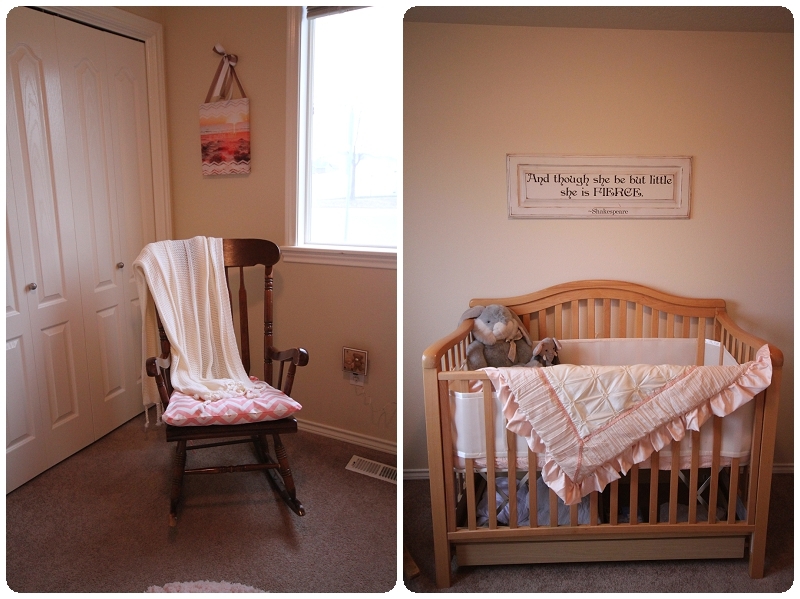 And the rocking chair was my husband’s mother’s. 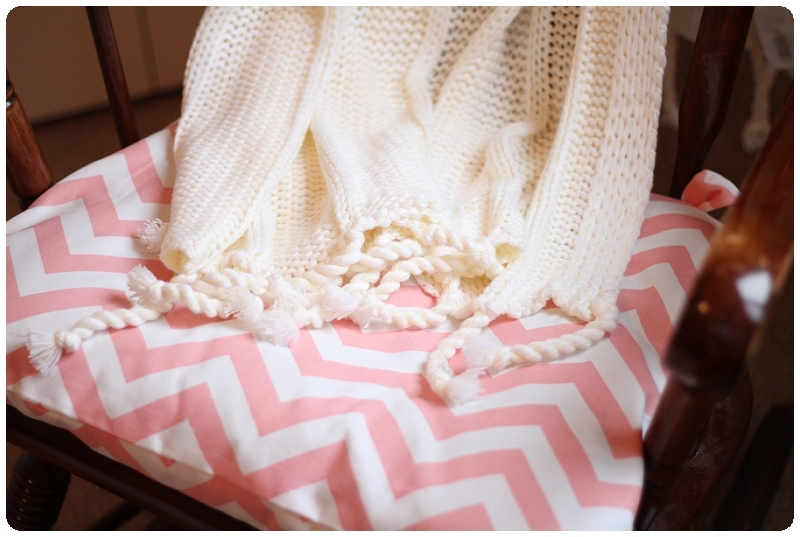 So you can see that this conglomeration of items has such sentimental value to me, hence my love for how it turned out and my excitement to share it!